Our youngest daughter Leah graduated from our homeschool over two years ago, and she still isn’t sure what she wants to do with her life. 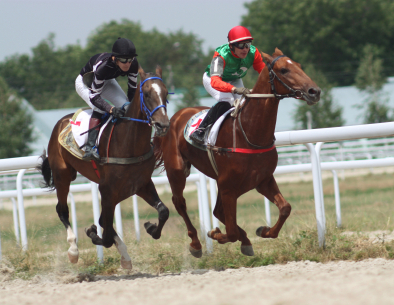 I’m like the racehorse Secretariat, rarin’ to go out of the starting gate. As people say, opposites attract, so my husband Ray is more like a turtle. He never makes fast decisions. Usually he needs several weeks’ time (or longer) to “think about it” and a 100 confirmations that this is what God really wants him to do. Not Ray. One time I gave Ray a present when he was taking forever to make an important decision. I wrote him a note that read, “This little gift is a true symbol of how you & God are moving right now (y’all’s pace.) You are God are both driving me up the wall! I will NEVER forget this time in our lives! 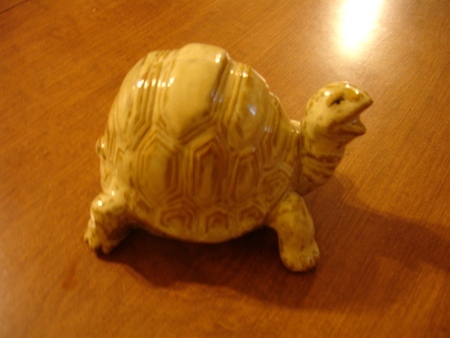 Love, Beth.” Below is a picture of what I bought him ~ a ceramic turtle. He laughed. Leah is like Ray. She doesn’t make fast decisions. She’s very methodical and logical in her thinking. She likes some kind of plan ahead of time (although she can be spontaneous and flexible). She answers many questions, including, “Where do you want to go out to eat?”, “What’s something fun you want to do?”, and “What do you want to do with your life?” with, “I don’t know.” This drives me crazy. Many 20-somethings feel ambivalent and uncertain about the future due to seeing adults with dreary, dead-end jobs, the bitter marriages and/or divorces of their parents, their disappointing and disrespectful children, etc. Who would want that for a future? They are thinking about their lives and what they really want much more carefully. One in five people 18 to 24 years old are living in poverty because they are living on their own and can’t make it financially. So they are not as fast to “grow up,” move out, marry, go to college, etc. She’s a phlegmatic type personality. She really doesn’t know what she wants to do with her life. Most people in their 20’s and 30’s don’t, the Y generation, constantly asking “Why?” Why work? Why go to college? Why get a car and go anywhere, when you can just text friends or connect with them on Facebook, Instagram, or Snapchat? Many of us don’t figure out what we really want to do until the 40’s, 50’s, or later. (Only about 27% of college graduates get jobs related to their major.) Some people never figure out what they want to do, going from job to job, place to place, relationship to relationship, living a spiritual gypsy-like life. Leah is battling perfectionism and fear. She doesn’t want to get a job, screw up, and then get fired. Guess where she gets the perfectionism from? (Ray and me both! As my friend Shelley Valasek says, I’m a recovering perfectionist.) Also, I’ve battled fear my whole life, so I’m encouraging Leah to push past it by taking “baby steps” of action. Fear and perfectionism will trip you up and keep you from living an intentional, fulfilling life. God doesn’t want you to be afraid, but to “be strong and of good courage.” (Joshua 1:9) It is the enemy Satan who wants to make us fear. 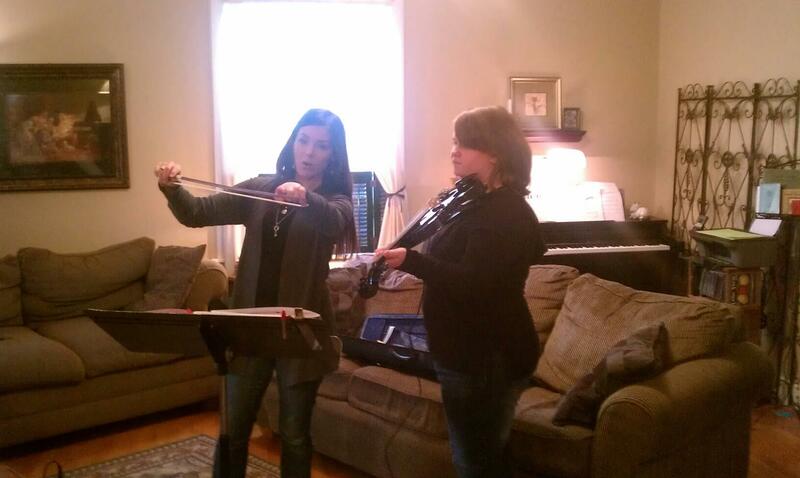 Leah is still taking Suzuki violin lessons from her amazing instructor Emily. 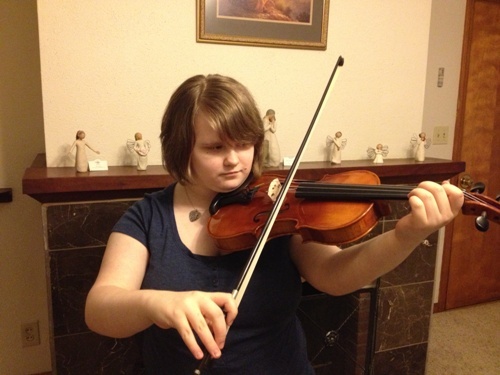 Leah plays classical music, hymns, Irish jigs, Christmas songs, and much more. This past week Leah went with her sister Heather to see Lindsey Stirling in concert in Kansas City, whose hip hop violin music inspired Leah to begin playing the violin. They said it was amazing. Leah is now learning to play one of Lindsey’s songs. So cool! Emily is encouraging Leah to listen to Itzhak Perlman, who played the theme song for the movie Schindler’s List. The conductor is John Williams.) Emily also encouraged her to listen to Joshua Bell. Leah works daily on her graphic art. This year she started playing with watercolor paint. I’m trying to encourage her to sell her art on Etsy. This is another area where she needs to punch fear and doubt in the face. I see greatness in her and want to draw it out of her. She drew the picture on the right of the moon with her graphic art tablet. 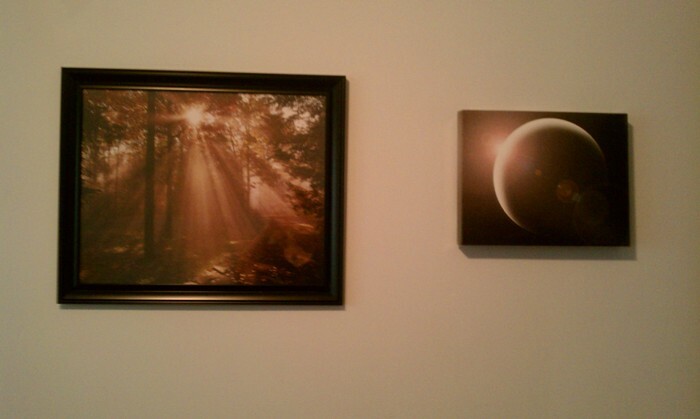 I hung the picture in her bedroom. 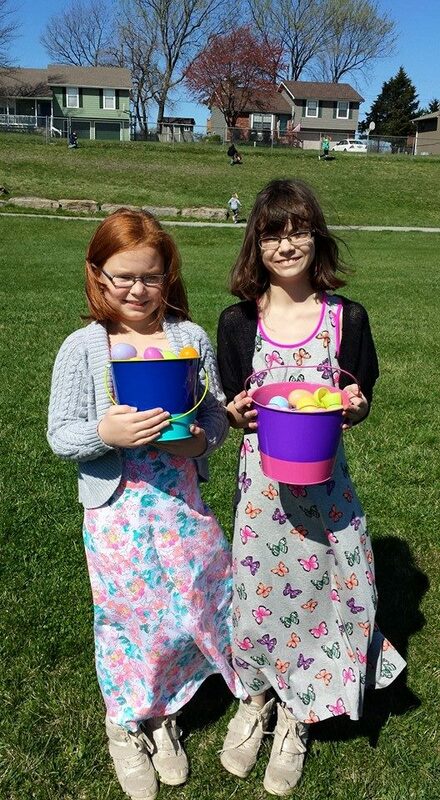 Leah is also babysitting her sister Heather’s daughters part-time this summer, Annabelle and Violet, while Heather works. She’s providing Leah’s food, giving her gas money, and paying her some to do this. This will save Heather on expensive summer camp costs and teach Leah more responsibility, so I think it’s a good idea (although Ray and I are still strongly encouraging Leah to enroll in college art classes in fall 2015). Leah is also taking Ray’s EMT class that he’s teaching this summer at his work. 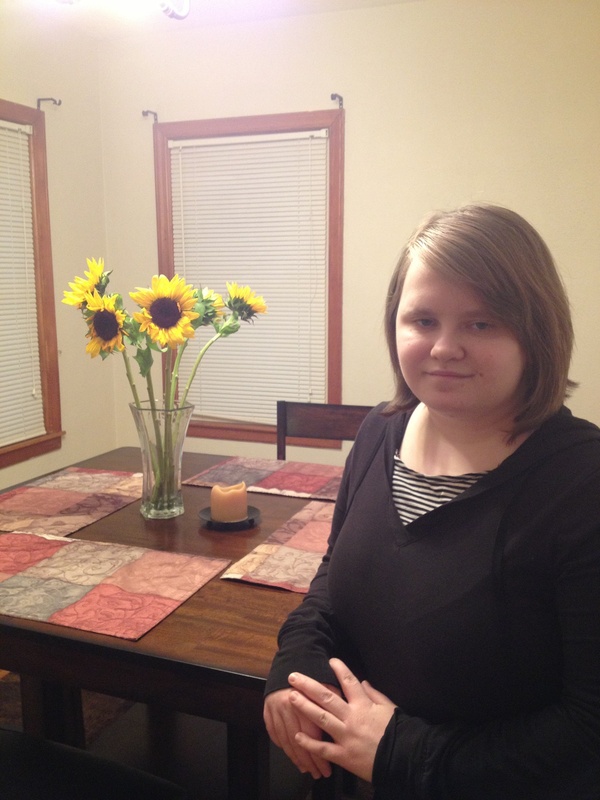 Ray believes this course will give Leah a useful, practical skill she can add to her resume, be beneficially socially to make new friends, and will prepare her for college tests if she decides to enroll in college. I just ordered Dave Ramsey’s Graduate’s Survival Guide. The book included was Start: Punch Fear in the Face, Escape Average, and Do Work that Matters by Jon Acuff. Leah and I are reading through this each day to encourage and motivate her to take the next step. Counselor Al Andrews asked Jon what his inner voices told him – voices inside our heads that we think are our friends, but are really our enemy. Things like we’re not pretty enough, skinny enough, you’re stupid, ugly, a failure, you have to be perfect, etc. They are the voices of fear and doubt. 1. Write them down in a notebook. Lies hate the light of day and this exposes them. Jon says not to ask, “Is this a voice?” before you write them down, but just do it. Scribble them down and them refute them with truth. I encourage you to find a Bible verse that addresses the topic. 2. Talk to other people. 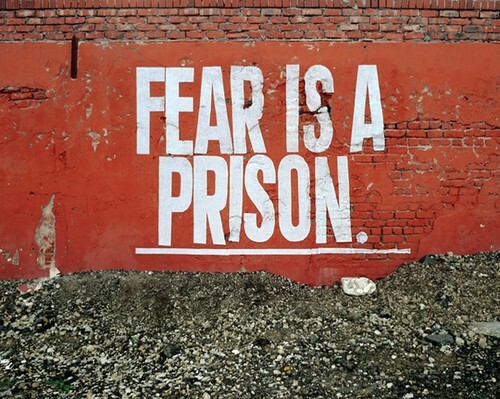 Fear wants to isolate you and put you on an island. As long as you keep fear to yourself, no one can tell you the truth. Share your doubts and fears with family, a friend, or a counselor. 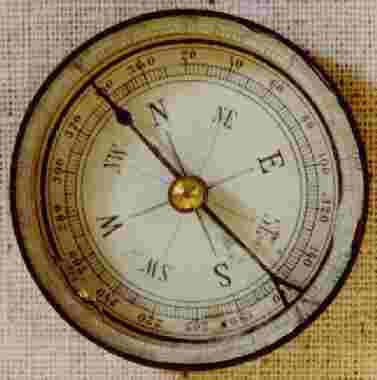 Fear is actually a compass, Jon writes. As Steven Pressfield says, it can “point to true North…that calling or action it most wants to stop us from doing.” Just start. Take the next step of action in faith, trusting God. Everyone deals with some kind of fear until you meditate on scriptures to free you! It sometimes takes a while to know what God’s will is for you, I’m 58 and just found out what I’m suppose to be doing in life about 9 months ago. I strongly recommend Leah taking the “Strength Finder 2.0 ” to help her find her gifts!! This is what help catapult me in the right path that God had for me. Actually, I was doing what God wanted me to do without knowing it. The strength finder 2.0 confirmed it because it reveals your strengths after answering about 80 questions. It was exciting to read results; after reviewing my strengths, I said, “Yes” this is who I am and what I do best. God leads us to the right tools! Hope this helps! Great blog, Beth! I love your transparency!